The Oklahoma Sooners Schutt XP Authentic Helmet is the same helmet college teams are using on the field. The helmet construction includes a full size shell made with Kra-Lite II Polycarbonate Lexan, painted team colors and shiny clear coated protective finish. Schutt XP Authentic helmets are perfect for display, gifts, and for autographing - the ultimate way to show school spirit! 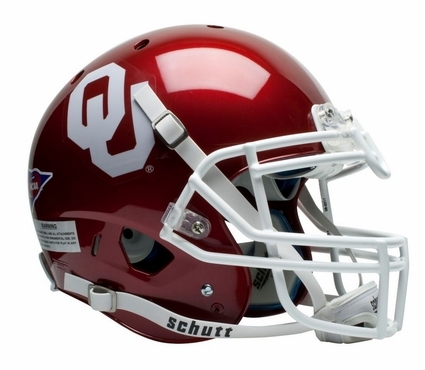 Get your Oklahoma Sooners Schutt XP Authentic Helmet today!